Dana Dachman-Soled is an assistant professor in the Department of Electrical and Computer Engineering at the University of Maryland, College Park. She is also affiliated with the Maryland Cybersecurity Center. Dana is supported in part by an NSF CAREER award, a Ralph E. Powe Junior Faculty Enhancement award, a financial assistance award from NIST and a research partnership award from Cisco. She is also the recipient of a Summer 2016 Research and Scholarship (RASA) award. 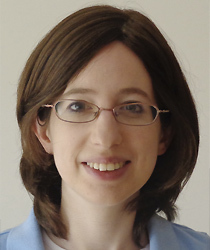 Prior to joining University of Maryland, Dana spent two years as a postdoc at Microsoft Research New England. Before that, she completed her PhD at Columbia University. Dana's research interests are in cryptography, complexity theory and security. She has broad interests in cryptography including security against physical attacks, post-quantum cryptography, secure multiparty computation, and black-box complexity. She is also interested in property testing of Boolean functions and cryptographic hardness of learning. Cisco Systems, Inc. funds Dachman-Soled's research for the third year. The $100,000 EAGER grant will allow Dana Dachman-Soled to investigate the security of symmetric key cryptosystems in the presence of quantum computers. Dr. Dachman-Soled is applying new methods of security to keep hackers from downloading/modifying meaningful data. Award will support research to develop security measures to thwart hackers through locally decodable and updatable non-malleable codes. Professor Dana Dachman-Soled has been recognized for her innovative research in non-black-box cryptography. Ten new faculty members join the Clark School for the 2013-2014 school year.